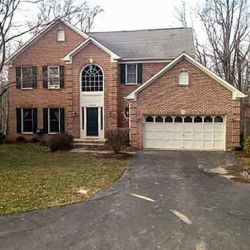 Seneca Creek Home Improvement provides reliable and professional roofing services for residents of Gaithersburg and the surrounding communities in Maryland. Founded on the idea that everyone deserves the right to work with honest and trustworthy contractors, the company quickly established a name for itself with homeowners and commercial business owners who were tired of fighting with other contractors and encountering common issues like unreliable estimates and uninsured work. Seneca Creek Home Improvement works hard to change the way that locals think and feel about roofing contractors. The company has a deep connection with the community. Not only does it have its headquarters in Gaithersburg, but the contractors working for the company all live in the area as well. They attend school events and shop in the community, which gives them a unique perspective on how locals think and feel. Unlike other companies that send in technicians and contractors from other parts of the state, Seneca Creek Home Improvement sends out roofing contractors who live and work in the community. Seneca Creek Home Improvement also practices straightforward pricing. All customers have the chance to attend a meeting with the contractors who will work on their roofs. They can ask questions, talk about concerns they might have and work with those contractors to feel more confident about the work that needs completion. Customers who feel confident and ready to move forward will receive an instant discount. Customers also receive real estimates that clearly show the cost of each facet of the job, which cuts down on any hidden price increases customers may fear. With over 12 years of sales experience, the sales representatives working for Seneca Creek Home Improvement understand that roofing products and services change, which is why they remain up to date on all those changes. Their experience lets them work with customers to ensure that they understand the differences between different products. The company's employees know which materials are the best fit for homes and businesses, so they work with clients to help them make the right choices. Every contractor working for the company goes through extensive training throughout their career to gain experience working with new products and offering new services. Customers can be assured that their contractor's classroom training is always matched by on-the-job experience, resulting in work that is up to code and professional. A double lifetime warranty that covers all projects helps make Seneca Creek Home Improvement the best choice for roofing services in the state. An asphalt shingle is a type of topside covering material used on a home or building. Asphalt shingles are usually installed in a side-by-side pattern with nails or staples. They are popular because they're inexpensive and simple to install. FAQ answered by roofing contractors Seneca Creek Home Improvement: How do roofers clean roofs? Roofers clean roofs with tools that are similar to products that homeowners already have on hand. They use hoses to direct water flow across the shingles to remove debris without damaging the shingles. They can also use specialty cleaners to remove algae, mold and mildew clinging to the roof. Different size brushes help them scrub the individual shingles.